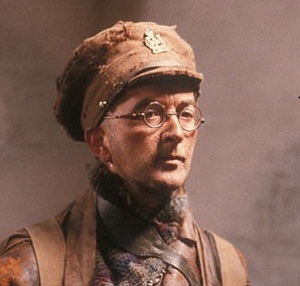 Although the archive release was scrutinised by experts, it is understood that the Baldrick poem was approved after a clerk recalled hearing Education Secretary Michael Gove referring to Baldrick in relation to the Great War, and assumed that he was of contemporary cultural significance. A spokesman for the National Archive tried to laugh off the gaffe with a bigger gaffe by saying “Someone’s going to be shot for this”, which created a immediate storm on social media for its insensitivity. Undaunted, the Imperial War Museum has said that they wouldn’t let the mistake mar their own forthcoming commemoration of the start of the First World War, promising that their authentic trench experience will show how the troops entertained themselves by balancing slugs on their upper lips and sticking pencils up their noses whilst wearing army underpants on their heads. The authentic canteen will feature ratatouille with real rat and beverages will include trench cappuccino with real Flanders mud and improvised chocolate. PLEASE get the actor who played Baldrick at the Archive to read “his” poem! He’s far too expensive for the Evening Harold! Best bet would be to look it up on YouTube.